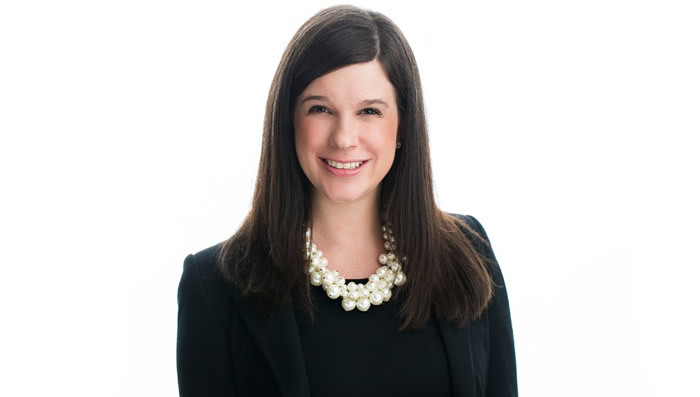 Katie Abplanalp Brown, a partner with Maddin Hauser in Detroit and a 2005 graduate of the College and 2011 graduate of the Law School, has been named the recipient of the 2018 Regeana Myrick Outstanding Young Lawyer Award from the State Bar of Michigan Young Lawyers Section. This award annually recognizes a Michigan lawyer under the age of 36 who has demonstrated an overwhelming commitment to public service, service to the bar and exceptional leadership. The announcement was made by the Maddin Hauser’s President and CEO, Steven D. Sallen. “We are proud that the State Bar of Michigan has recognized Katie as an Outstanding Young Lawyer. This award is a testament to her dedication to the practice of law, community service contributions and accomplished leadership,” said Sallen. Brown is a shareholder in Maddin Hauser’s Corporate and Employment practice group. Specializing in employment law, she focuses primarily on counseling employers to take proactive measures to prevent more costly claims of wrongful termination, discrimination, harassment and improper payment of wages. She has been recognized among Michigan Lawyers Weekly’s 2016 Up and Coming Lawyers, named a Rising Star by Michigan Super Lawyers® from 2014-2017, received a Pro Bono Accomplishment Award from the U.S. District Court for the Eastern District of Michigan, and was recognized in 2017 with the Member of the Year Award from the Women’s Bar Association.